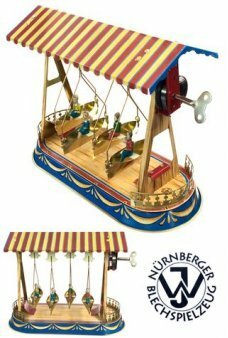 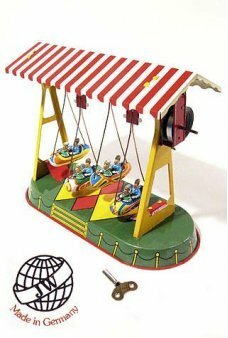 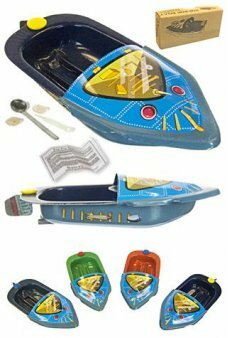 We have the Original Tin Toy Pop Pop Boats, wind up Ships and classic water toys. 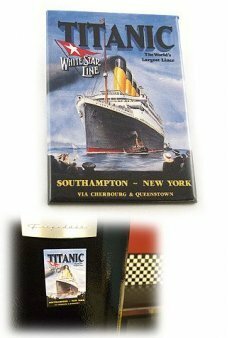 From Tug Boats to the Titanic add to your tin ships and boats collection. 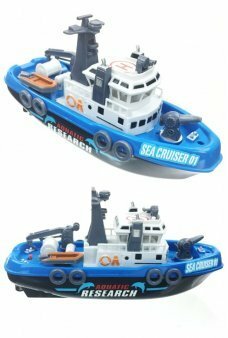 Homer drives his Tug Boat, the Odyssey on an epic adventure. 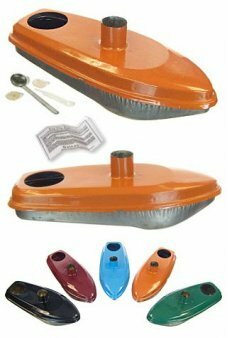 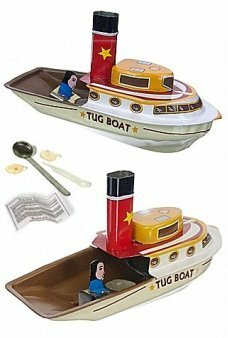 This large, colorful tin toy Pop Pop Tug Boat uses an actua..
Cruise away with our Jumbo Steam Boat tin toy. 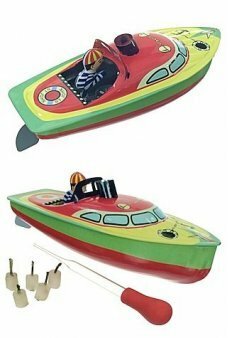 Our largest (10 inches long) Pop pop boat comes in assorted bright colors..
Our Robot Boat drives itself with the power of steam! 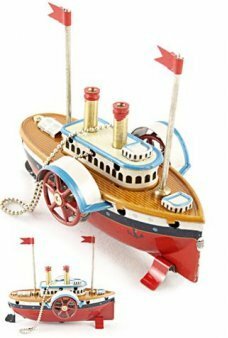 Our cute mini tin toy has an adjustable rudder to direct the path ..
Sail away with our attractive Steam Yacht tin toy. 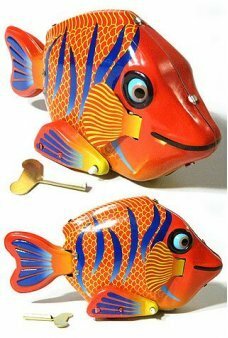 This unique tin boat uses an actual flame and candle to heat the "bo..
Felicia, the Friendly Fish wants to be your pet. 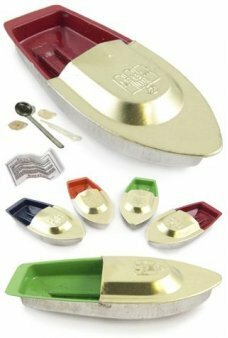 She has found a way to live on land with the help of her wind up key. 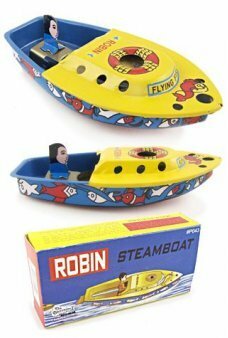 J..
Our cute Recycled Mini Pop Pop boat has a real rudder and a real steam engine. 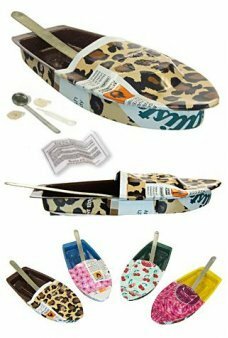 Made with recycled tin scrap, our mini ti..
We made these boats out of recycled and scrap tin! 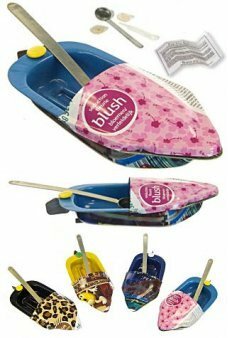 Our Recycled Runabout boat features the fun colors and patterns from ..
Have a Pop Pop Boat race! 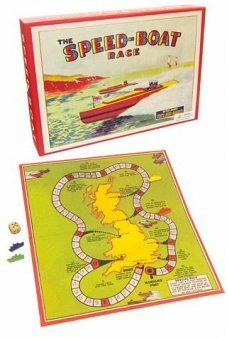 Just heat the real boiler to hear the pop-pop sound and start the racing. 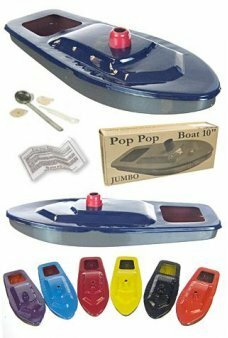 You will get 2 tin b..
Our colorful Police Pop Pop Boat is a real steam powered toy! 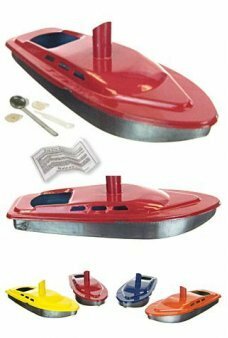 Our pretty boat uses an actual flame and candle to heat th..